I am a reader, writer and traveler. I writes code by passion, poems by interest and travels by love. I am a curious person who is always in search of new stuff to learn. In my voyage of life, I’ve got truly loving family, been in most amazing school and college and got some of the finest gurus and awesome friends. I was 11 when I saw and touched real computer first time. And I was 14, when I wrote my first program in QBasic on a Windows 3.0 machine, you know, it felt awesome. After all these years, I still get the same feeling while coding. I decided programming as my future, long time back and now code is driving my life, its a dream came true. My coding skills evolved and funneled after I joined rtCamp, a great place for WordPress enthusiast, as web developer. I learned so many things there and of course made some new friends. 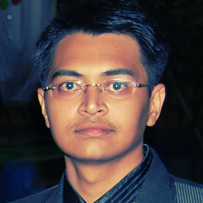 Now, I am working in Bitwise Global, Pune as Programmer and completed 6 awesome years of my career. I love literature. In Marathi, poems written by Kusumagraj, Vinda Karandikar, Sandip Khare, Guru Thakur, Saumitra are some of my favorite writers. PuLa Deshpande is my most favorite Marathi novelist. In English, I have read all of Chetan Bhagat, some of American poet Robert Frost and Brazilian writer Paulo Coelho. Still many books are queued up in my read list. Well, I am a big fan of sci-fi and action movies, specifically Star Wars, Gravity, Star Trek, Fast and Furious, Gone in 60 seconds, Mission Impossible, Ocean. George Clooney, Nicolas Cage, Vin Diesel, Brad Pitt, Tom Cruise, Sandra Bullock, Julia Roberts are few of my favorites. In music, Indian music tops over others on my like list. I am a fan of Late Pandit Bhimsen Joshi, Pandit Shivkumar Sharma (Santoor is my favorite), Hridaynath Mangeshkar, Pandit Ravi Shankar, Mohammad Rafi, Kishor Kumar, Lata Mangeshkar, Kumar Sanu. I also like Urdu poetry and gazals. In western music, I like to hear Enrique Iglesias, Westlife, Linkin Park are some of the few.